Home » 7 Eleven » Food n Beverage » Genting » lucky » lucky draw » Nescafe » Nestle » petrol » Petronas » purchase » spend » travel contest » WhatsApp » Peraduan Minum & Menang dengan NESCAFÉ dan 7-Eleven Contest: Win Genting Grand & First World Hotel stays, Skyway & Petronas Petrol Card! 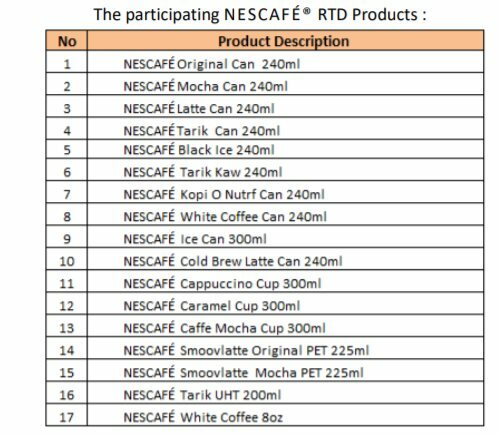 Buy any two (02) x NESCAFÉ® Ready To Drink products (Tin/UHT/PET/Cup) from 7-Eleven in a single receipt within the Contest Period. WhatsApp a clear picture of the receipt to 0102988228 together with Full Name and NRIC number (e.g. Didi Bin Along , 830118101232). Sign up as a Genting Rewards Member for the Entry to qualify and be accepted further for purposes of the Contest. 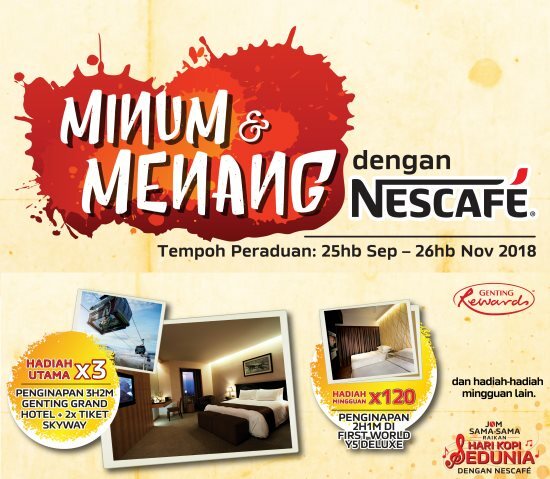 Visit Peraduan Minum & Menang dengan NESCAFÉ dan 7-Eleven Contest page for more details.